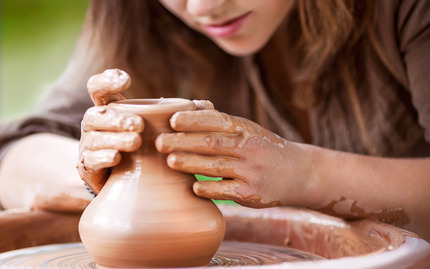 Pottery making is located at the intersection between feeling, learning and creating. Throughout this try-it class, you will gain knowledge in all the processes involved in a ceramic studio. With a unique Hawaiian hands on approach, this relaxing class will engage and stimulate your senses for a program that does more than just teach. 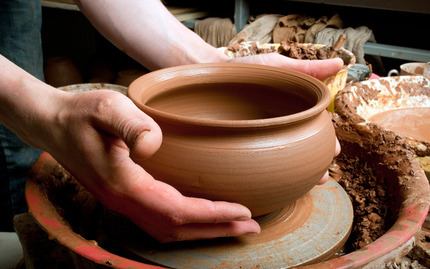 During this class, you'll learn the throwing techniques necessary to create the pottery and clay projects you want! Come explore your artistic side and enjoy making a practical item! Note: You have the option of glazing your piece. If interested, you will be called when the bisque firing of your piece is completed so you can come back in to glaze it. Once your art piece is fired again, you will be notified when your piece is ready to be picked up. All materials, clay, and instruction are included in the listed price. There are no refunds; all sales are final. However, you may reschedule if cancellation notice is provided at least 48 hours prior to your scheduled class.